One of Europe’s most eagerly-awaited new golf course design projects will officially open in Portugal this summer. Situated less than an hour north of Lisbon – on Portugal’s magnificent Silver Coast – West Cliffs has been designed by golf course architect Cynthia Dye, of the world-renowned golf architecture firm Dye Designs Group, and is set to be unveiled to a worldwide audience in June. Offering sweeping views of the Atlantic Ocean from each hole, the spectacular par-72 seaside links has been created over 200 hectares of natural landscape, rolling sand dunes and coastal vegetation. 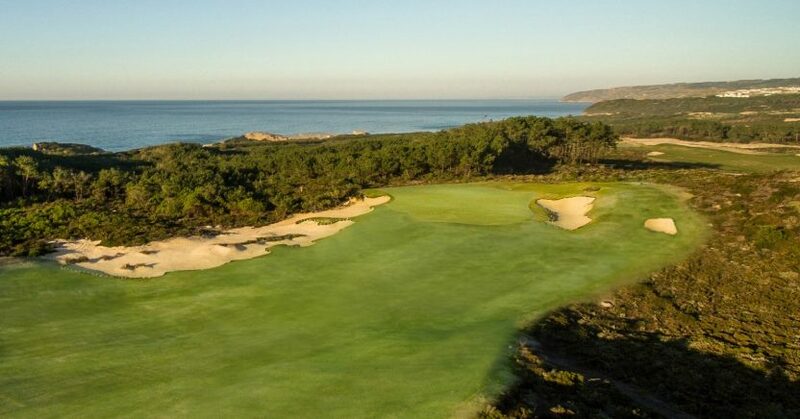 The first Dye golf course in Portugal – and only the fourth in Europe – West Cliffs is predicted to quickly become one of the most talked-about design projects in the world. Cynthia Dye, niece of legendary golf designer Pete Dye, said: “With the Atlantic visible from every hole, West Cliffs is the most natural golf course site imaginable. “One of the most impressive characteristics of the course is just how anchored it is to the native coastal environment. Construction work on West Cliffs began in February last year, with Dye and her team working in close collaboration with the local government to ensure minimum disruption to the environment, and to create a harmonious and sustainable links in an enviable location. Fitting seamlessly into its natural surroundings, West Cliffs will measure a testing 7,003 yards in length but, with its modern design and a choice of several sets of tees, it will guarantee accessibility to golfers of all abilities. Away from the course, the West Cliffs golf academy will provide the ideal atmosphere for players to warm-up, learn and improve, while a stylish and eco-friendly new clubhouse will offer panoramic views of the Atlantic links and provide the perfect environment to relax after 18 holes. The West Cliffs course will sit at the heart of a new resort, which will offer select real estate possibilities and a future five-star hotel, adjoining a 2.5km stretch of golden cliffs and Atlantic coastline. The resort will be managed by Praia D’El Rey – one of Europe’s leading resorts – which marks its 20th anniversary this summer. Situated less than 10 minutes’ drive from West Cliffs, Praia D’El Rey offers an eclectic and ever-growing range of services and activities attracting the golf, sports and leisure markets.